Check out the images below to see how we like to relax and have fun. Haldar crew went out for their second annual bike ride this Summer. We had lunch in Fisherman's Wharf and ice cream in Sausalito, it was a fun-filled ride with loads of picturesque views!!! Haldar lab members participated in the Bay area Heart walk hosted by American Heart Association. Our team represented Gladstone Institutes and walked 3K in an effort to raise awareness about cardiovascular diseases. Bike ride to Sausalito!! Haldar lab members biked from the Gladstone Institutes across the beautiful Golden Gate Bridge and explored the surrounding area on their bikes. 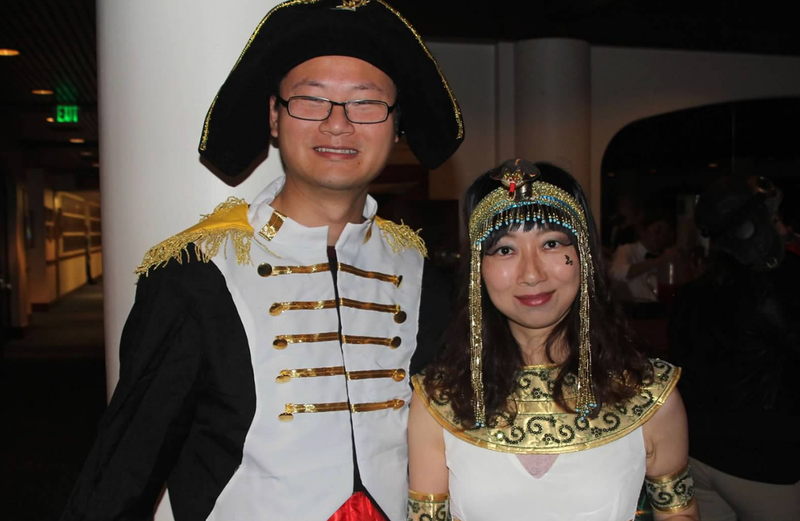 Our lab members in annual costume party hosted by Gladstone Institute of Cardiovascular Disease. 2015 party was Dead Celebrities themed. Here are some pics of our crew embracing the spirit of Halloween!!! Haldar group enjoying lunch on a nice sunny day!